Yep - sunrises / sunsets are made via some clouds that highlight the scene ... and you have got your money's worth this morning! That was worth getting up early for. 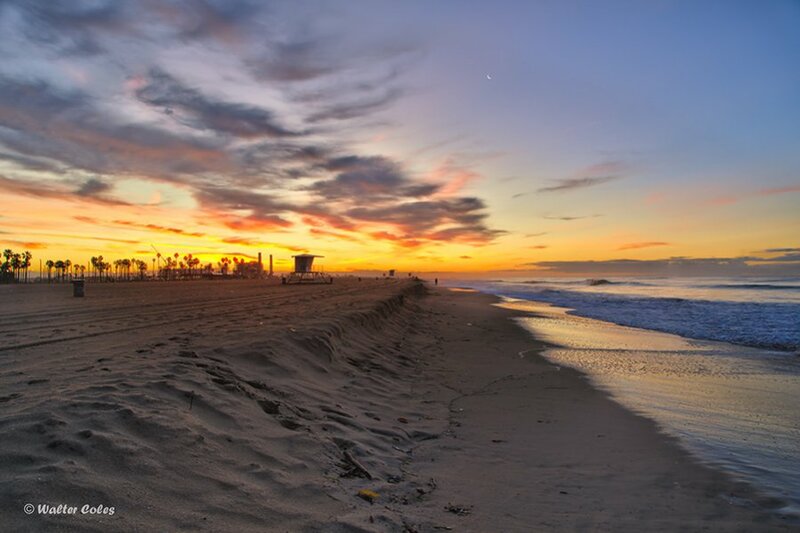 Beautiful sunrise with palm trees and semi-empty beaches. But cold for us southern Californian's. Wow! Beautiful scenario. 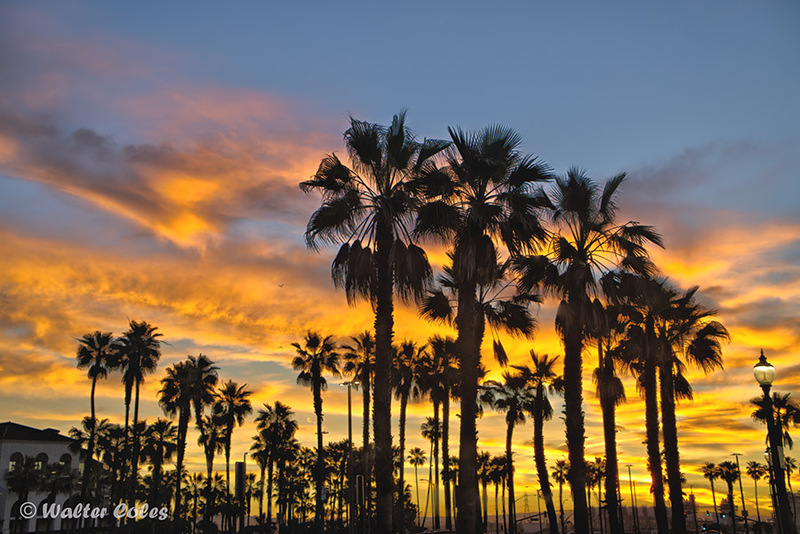 The Palm trees between the sunset highlight the scene. Nice click. Loved it.